In my last blogpost, I have covered a number of emerging trends in the telecom industry. The post focused mainly on the next generation of network technologies (5G) and also mentioned some of the industries that would be leveraging new ways of connectivity like the automotive industry. In this post, I am focusing more on the topic of connected cars and the conditions required to make driverless cars feasible. A group of representative organizations from the telecom industry has urged the European Union (EU) to “place 5G at the core of digital reform and shape upcoming laws with a view to increasing network investment and allow innovation”. As I have witnessed on the Mobile World Congress, the automotive industry is already investing in research and development aimed at driverless cars and there are many pilots going on around this basic idea. I believe that there are huge opportunities for the telecom industry to collaborate on these pilots through alliances and partnerships. German car manufacturer Volkswagen has come out with a technology service based roadmap for driverless cars. According to this roadmap, with the existing 4G, LTE networks and mobile broadband, they can support connected cars for certain limited use cases. However, for automated driving, they need a more scalable infrastructure for which 5G networks and technologies are needed. Mercedes too has pointed out to the requirements of 5G and ubiquitous connectivity to enable driverless car infrastructures. As a result of this, the 5GAA is created to connect organizations from the telecom industry with car manufacturers. This effort will get them to work together to develop end-to-end solutions for future mobility and transportation services. Volkswagen is planning to utilize new connectivity standards that are required to enable driverless cars. This standard is referred to as V2X (Vehicle-to-everything), a standard that combines the V2V standard (Vehicle to Vehicle standard to improve the line of sight) and the V2I standard (Vehicle to Infrastructure in order to improve the traffic flow and safety). Phase 1 Assisted driving where technology assists the driver through functions such as providing information about weather and traffic or even helping to prevent accidents. Phase 2 Partly automated cars which can take over and drive autonomously on highways. 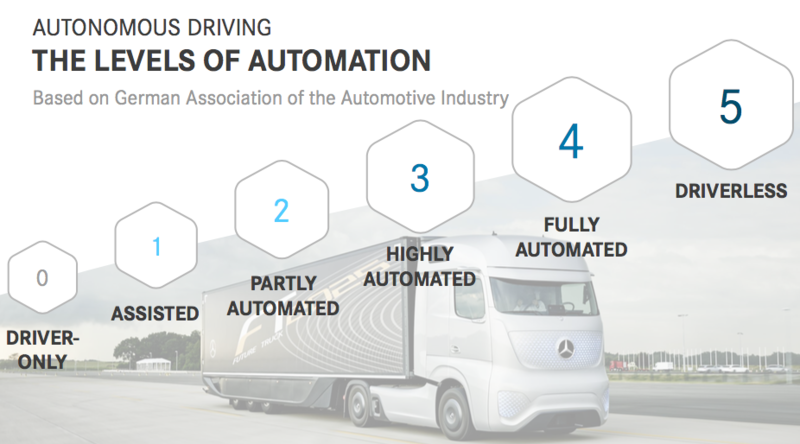 Phase 3 Highly automated cars which can drive autonomously under most conditions. Phase 4 Fully automated cars or basically, driverless cars where the car completely takes over the driving from a human being. Member companies of the 5G Automotive Association include among others Audi, BMW Group, Daimler, Ericsson, Huawei, Intel, Nokia, Qualcomm and Vodafone. The 5GPP, initiated by the European Commission, has recently defined a research and innovation project under the name of 5GCar. This initiative is led by Ericsson and is also focusing on developing an infrastructure based on 5G and end-to-end V2X network connectivity. Another objective is to identify business models that support a range of V2X services. 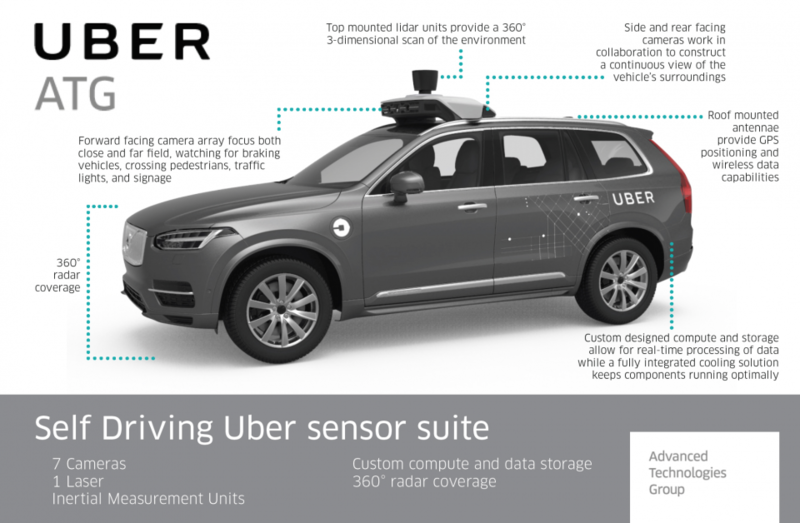 Volvo has already gained experience in a partnership with Uber to co- develop the next generation of self-driving cars. Learnings from pilots in the USA (Pittsburgh and San Francisco) will definitely contribute to the 5GCar project and help with innovation and standardization. Another initiative, supported by the EU is the Fair Standard Alliance (FSA). The goal of the FSA is to ensure that there is compatibility and interoperability of components and products used. The FSA is a non-profit organization to facilitate innovation through the licensing of standards-essential patents (SEPs) on fair, reasonable, and non-discriminatory (FRAND) terms. Member companies include among others global firms such as BMW, Cisco, Dell, HP, Intel, Lenovo, Google, Sierra Wireless and Deutsche Telekom. What are going to be the mobility needs of tomorrow? New business models for transportation (like ride hailing) are gaining traction with the arrival of Uber, Lyft and similar competitors. And car manufacturers are becoming more active in this field as well. To give just one example, MercedesBenz is investing in transportation services as the mobility needs of people are shifting. Examples of services are Moovel (transportation in cities), Car2go (flexible car sharing), MyTaxi (ride hailing) and Blacklane (limousine services). All of these will change the ways in which people travel and need to be factored into the development of driverless cars. How to test connected cars in our current city and road infrastructure? The connected car is evolving in a highly-connected world with ever changing mobility needs. City and road infrastructure need to facilitate this. Driverless free zones in cities will enable the first semi- driverless cars to drive on the road and improve the overall security. This should help with the testing and adoption of driverless cars in the long run. How to develop a proper liability regime? Part of the organizational challenges when introducing driverless cars relates to legislation and the development of a proper liability regime. This involves working through a number of issues for the car manufacturers such as: who is the producer in an autonomous self-learning system (artificial intelligence), who is responsible for the failure of hardware associated with driverless cars and how does this affect the driver? Another follow-up question is what will be the impact on the insurance industry of the self-driving car? How to manage security throughout the complete life cycle of a car? Billions of devices connected to the internet would also mean billions of security risks. In ensuring the connected cars are as secure as possible, car manufacturers will face a number of technical and operational challenges. Currently, it is estimated that there are around 500 chips in a modern car. The differences in lifecycles and the different ways in which hardware and software are secured give rise to a number of potential issues. Cars have a long lifecycle, and software updates needed typically require expensive product recalls. The current development process for security software involves binding it to the car’s hardware. As a result, updating the software is a complicated process that slows down the response to security threats. This process could be considerably more efficient if the car’s software can be updated remotely, through its connectivity functions. Only a handful car manufacturers (like i.e. Tesla) have managed to accomplish this. To conclude, one can see that there are still some challenges that need to be addressed in order to make driverless cars possible. As new initiatives are taking shape, the innovative ecosystems of a 5G world combined with the Internet of Things (IoT) would definitely trigger a new growth phase for the industry as a whole. And the telecom organizations would play a crucial role in making driverless cars a reality. Thomas Wesseling is a Manager Consultant in the Sogeti Global Mobility Practice. He is the initiator of the Sogeti Global Mobility Practice community in 2008 and since 2013 member of SogetiLabs. What has (test) automation ever done for me?